When you need the largest harvest of the juiciest, most valuable flowers, turn to our legendary Big Bud. This is the granddaddy of all bloom boosters. Tested in all kinds of hydroponics gardens worldwide on the kinds of plants you grow, Big Bud immediately raises the weight, quality and density of your flowers. 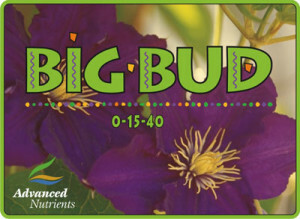 Big Bud is guaranteed to give you huge harvests. It can be used with any feed program to give you the largest flowers you’ve ever seen. Be the first to review “Big Bud Powder” Click here to cancel reply.